In 2015, Bridge for Health prepared and submitted a briefing report on participation of youth in global policy development to the Scientific Committee for the 2016 WHO Global Conference on Health Promotion. The report entitled “Engaging the Leaders of Tomorrow: Youth Leadership in Health Promotion Global Policy” was based on two participatory activities with Canadian youth: a 90 minute discussion with a diverse group of 11 student leaders about why it is important for youth voices to be heard in conferences such as the one on health promotion; and a social media campaign (using the hashtag #EngagewithWHO) with the aim of giving youth a platform to share their opinions regarding health promotion issues. The campaign reached 6601 individuals and/or organizations (in Canada and other countries). The methods were co-designed, facilitated and analyzed by young adult Bridge for Health network members. For example, the youth leaders chose the 4 questions posed on the social media site, and also supported the analysis of results and the discussion and recommendations. The briefing report was taken up by the conference steering committee resulting in the creation of a youth symposium at the World Health Organization’s international conference in Shanghai in November 2016. In addition, a video was produced by Larissa Chen, Marco Zenone and Paola Ardiles entitled “Engaging the Leaders of Tomorrow” that specifically linked health promotion and youth leadership to the UN Sustainability Goals was developed and launched at the 22nd IUHPE World Conference on Health Promotion in Brazil. 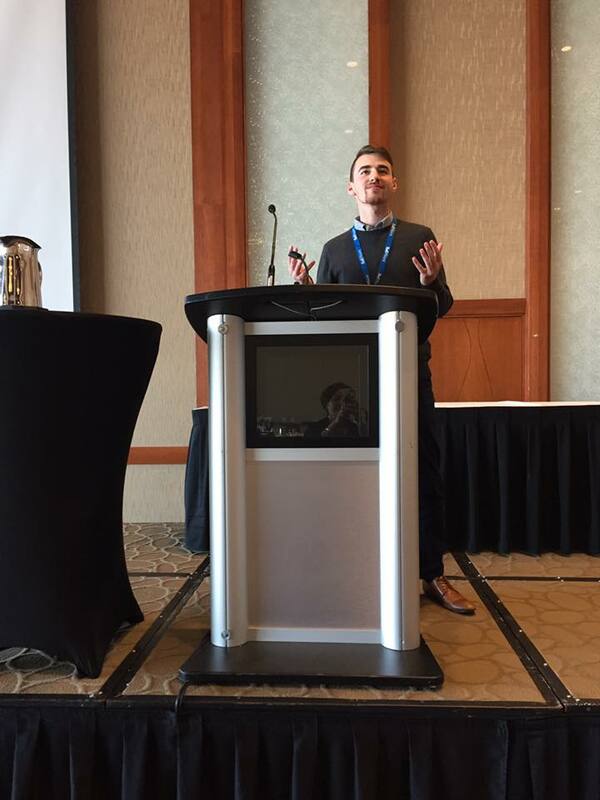 In October 2016, Marco Zenone the youth engagement lead at Bridge for Health had the opportunity to co-host a public leadership pre-conference event and also presented the video a plenary session at the 6th Global Health Promotion Forum held in Charlottetown, Prince Edward Island, Canada in October 2016.